Barcelonans with the readies have been playing country squire at the foot of the Collserola at least since 1400, when King Martí the Humane, the last Catalan king of the house of Barcelona, built his summer residence on the hill at Bellesguard ('Beautiful View'). 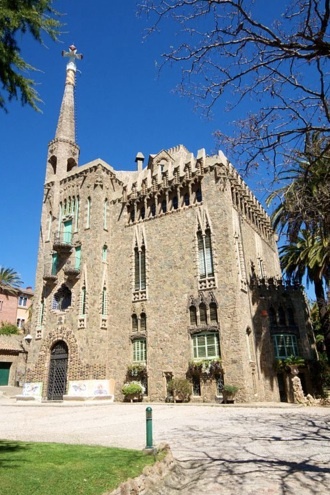 Five hundred years later, Jaume Figueras, a friend of Gaudí, commissioned him to build a villa by its ruins. The historical connotations inspired Gaudí to create a tall, neo-Gothic castle (1900–5) of stone and brick, filled with delightful mosaics and intricate ironwork, with his trademark four-armed cross at the top of the pinnacle. But the turn of the 20th century also marked a turning point in Gaudí’s career: the stone walls hide a wonderfully inventive interior of vaults and brickwork. 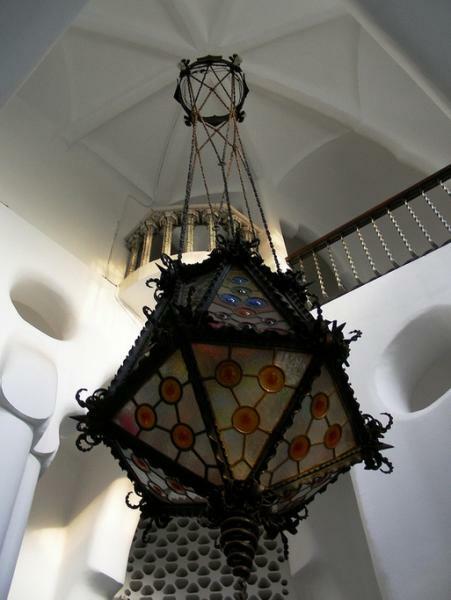 The latter is most astonishing in the Sala dels Maons, which was originally intended as a music room, but left with the exposed brickwork as Figueuras's widow, who inherited the project, ran out of money. Since 1945 the house has been own by the Guilera family, who in Sept 2013 have opened it up to visitors. Tours include the gardens, with includes an exhibit on the house and its history in the stables. Nearby, in C/Bellesguard, don't miss Gaudí’s viaduct with slanted columns, similar to the ones in the Park Güell. Bus: No. 58 or 22 from Plaça de Catalunya or No. 60 from Plaça de les Glòries.